The MLS® range of lasers can be used to treat anatomical parts of the body as a whole or in parts such as muscle facia, complete joints or a particular pathology. Treatment areas are pre-programmed into the software and include settings for both acute and chronic symptoms. Variations are also pre-programmed for differences in body mass and skin tone. In addition to covering the selected body part with a scanning beam, the software is pre-programmed with the associated trigger points that are directly and indirectly involved. The LCD display shows the number and location of trigger points and suggests the best ways to scan. Areas include shoulder, elbow, wrist and hand, hip, knee, ankle and foot, neck, back and lower limb including foot. All models of the MLS® range feature pre-set treatment protocols for a range of common pathologies affecting each anatomical part of the body. 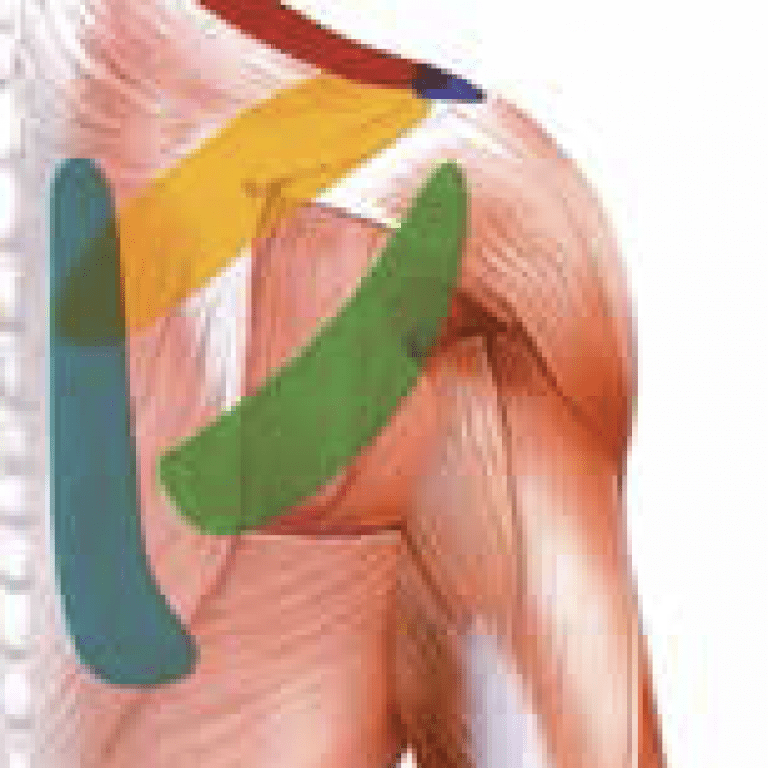 For example, when the shoulder is selected, the clinician may select from a range of pathologies that includes brachial neuralgia, scapulo-humeral periathritis, shoulder dislocation, shoulder tendinitis and others. Other specific pathologies than can be selected for all anatomical parts include muscular contraction, contusion, haematoma, strain and muscle tear. Each pathology consists of pre-programmed parameters supported by on-screen animated colour graphics. All models in the MLS® range are preprogramed with a special anti-oedema setting that automatically adjusts the dose based on the area treated. MLS® Laser Therapy can be used to promote the natural healing process. The Biostimulation program is recommended for treating wounds, sores and ulcers. All models in the MLS® range are preprogramed with a special Biostimulation setting that automatically adjusts the dose based on the area treated. One of the most common uses of MLS® Therapy is to relieve pain, both at the initial appointment and as part of ongoing treatment. The additional benefits of reduced oedema and an improved tissue healing process amplify the pain modulation effects. The MLS® Laser is an effective measure that helps the treatment of acute and chronic back pain. It is especially effective with lower back pain and efficiently gives patients improved mobility and a better quality of life. 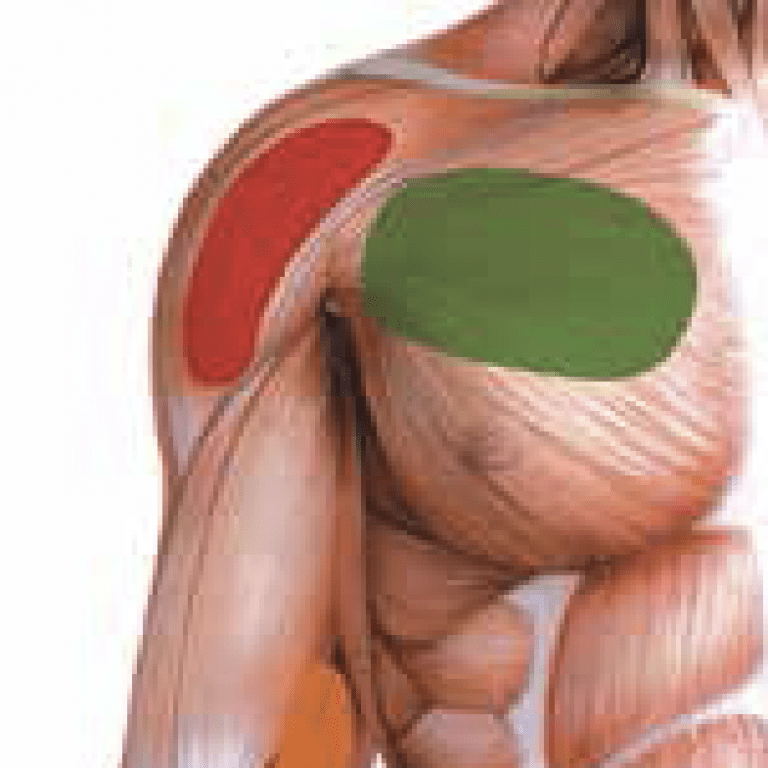 All models provide pre-loaded settings for a range of back pathologies and symptoms. The robotised M6 is programmed to treat large areas though a scanning motion that is totally hands-free. There are no negative side-effects of the treatment. MLS® Therapy can be used to give immediate short-term relief from head and neck pain leading to improved mobility and patient comfort. It can be used over longer periods for chronic conditions. 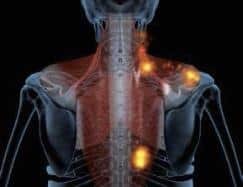 In addition, various head and neck disorders such as myofascial pain dysfunction syndrome and trigeminal neuralgia can be treated effectively. The MLS® laser is effective in promoting cellular healing through its Biostimulation mode including almost any injury to a body part whether chronic, acute or post treatment. The laser speeds wound repair due to the additional effects of reduced oedema and pain reduction simultaneously. A variety of wounds can be treated such as wounds from surgery and injuries from sport, traffic and other accidents and disease processes. 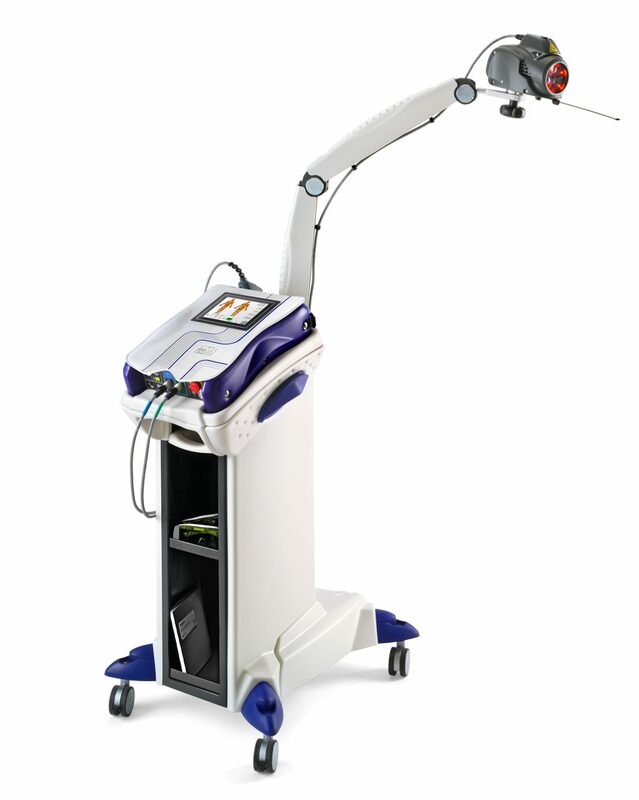 The MLS® laser is extremely well suited for the treatment of dermatologic conditions such as wounds, ulcers and sores. Laser therapy has been shown to be effective in both osteoarthritis and rheumatoid arthritis to reduce pain and improve function. The treatment is safe, non-invasive, without medication and short-term pain relief is often immediate. Arthro-rheumatic pathologies treated include Gonangia, Epicondylitis, Neck pain, Lumbago, Myositis, Arthrosis, Sciatalgia, Shoulder pain, Hand and foot polyarthritis, and Hip Arthrosis (initial phase). MLS® therapy is extremely effective in treating inflammation of the Achilles tendon and sheath. Here it is often the sole treatment. In more acute cases, laser therapy acts as a complementary measure. In all cases, it is used for drug-free pain management and the reduction of inflammation. Laser therapy is one of the few modalities that has been scientifically shown to be able to treat paraesthesia resulting from recent injury or surgery that results in nerve damage. MLS® Therapy provides a subjective and objective improvement in mechanical sensory perception where there is the long-standing neurosensory deficit. Strong positive outcomes have been shown for the use of MLS® therapy in the treatment of chronic disorders such as lateral and medial epicondylitis, tendinopathy and various articular diseases. The treatment modality provides both immediate and long-term relief. Laser therapy can be used alone or in combination with other therapies to effectively treat tendinopathy both through relief of pain and improvement in mobility. A variety of joint conditions and symptoms, both acute and chronic, respond positively to MLS® Therapy. Various articular diseases as well as lateral and medial epicondylitis show immediate and long-term benefits from the treatment. The MLS® laser can be used as a major adjunct to treat conditions that benefit from enhanced healing as well as better and faster wound repair such as post-surgery. The improved wound repair is also of benefit when combined with the simultaneous MLS® effects of reduced oedema as well as pain reduction. Indications include iatrogenic wounds (surgery etc.) plus wounds caused by a variety of injuries associated with sport, traffic and other accidents and disease processes. The anti-pain and anti-oedema effects of MLS® therapy can be used in association with surgery. Using the laser promotes the reduction of post-operative pain, reducing the need for analgesics as well as reducing post-operative oedema. In addition, lasers in the MLS® range can be used to promote increased circulation for faster healing, better new tissue formation and overall accelerated wound healing. The MLS® therapy can also be used to stimulate the immune system and brings neutrophils to the site of an infection for faster healing. 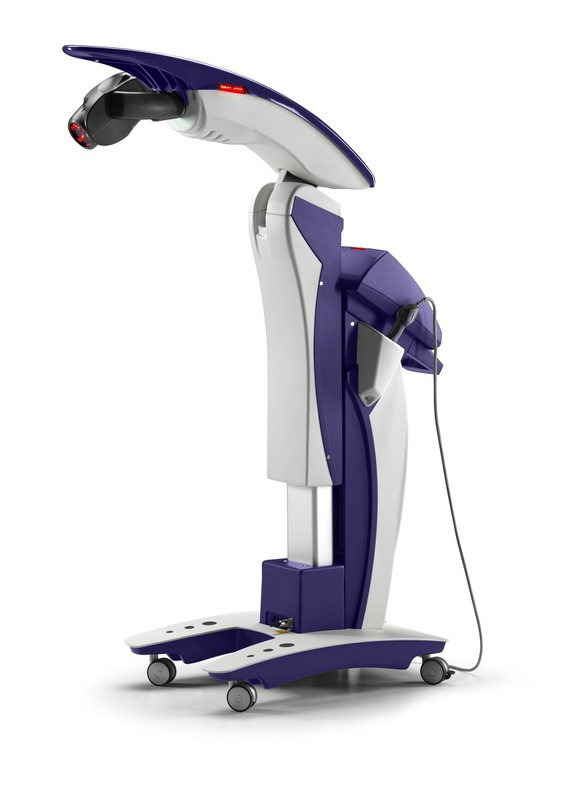 MLS® laser can be used before to prepare an area for surgery. This pre-conditioning can speed up the healing process. The MLS® laser range includes a built-in anti-oedema treatment modality that can be used in cases of oedema and haematoma. This is extremely effective for lymphoedema that is often seen associated with removal of lymph glands in oncology patients. Podiatry provides a high proportion of conditions for which MLS® laser therapy is relevant and highly effective. The use of laser therapy in this field is now established as part of the norm in several treatment areas. MLS® Laser therapy is a conservative non-invasive treatment regime that is effective in alleviating pain and symptoms of carpal tunnel syndrome. It improves functional ability to strengthen fingers and hands to return mobility for mild and moderate CTS patients with no side effects. The scope and application for use of MLS® therapy with implants for healthcare professions is extensive. Treatment includes the promotion of healing and the reduction in oedema, inflammation and pain at the surgical site as well as providing a beneficial effect on bone regrowth and osseointegration all leading to promoting a positive implant outcome. MLS® Therapy is an excellent adjunctive treatment for motor articular rehabilitation after the removal of plaster or after surgical orthopaedic interventions. The MLS® range of lasers are perfectly suited for use in sports medicine including improved injury recovery and improved endurance training and reduced muscle damage. 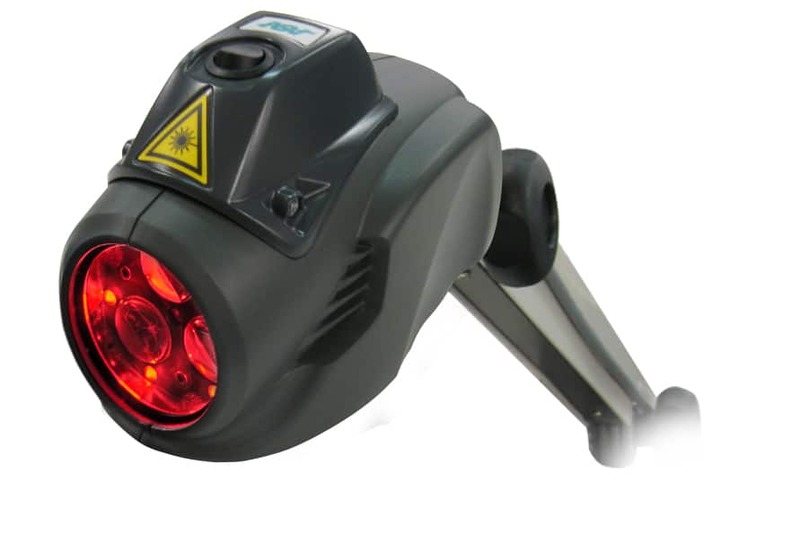 The laser can be used for sports trauma treatment such as Muscle sprains, Joint sprains, Epicondylitis, Tendonitis, Contusions, Ecchymosis, and Bursitis. MLS® therapy assists with faster resolution of leg ulcers by improved tensile strength of repair tissue and faster generation of the granulation and epithelialisation phase. The therapy improves micro- blood and lymph circulation, activates anti-oedematous processes, promotes cellular regeneration and inhibits inflammation. The Biostimulation setting can be used for ulcers that are healing poorly or not at all. Plantar Fasciitis is particularly difficult to treat as there are few proven treatment regimes. MLS® Therapy directly reduces inflammation and eases pain noticeably at the first appointment. In addition to the direct analgesic effects, the laser acts to stimulate fibroblasts for a faster regeneration of connective tissue structures in the tendon.